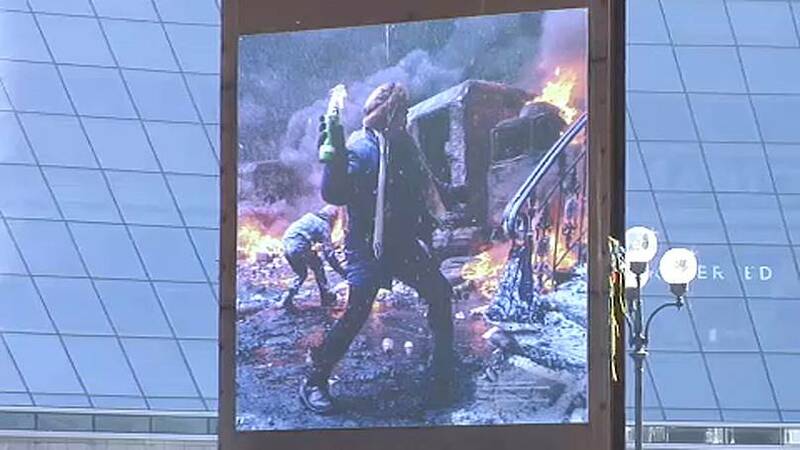 New York is under attack. This is the story of a village in Eastern Ukraine, founded in the 19th century by German Mennonites. "I had to open this place: we saw that the war was going on, but also life goes on"
Perhaps fascinated by the “Big Apple”, they decided to call it New York. Even if the current official name is Novhorodske, locals like to keep calling it New York. Today it lies on the contact line that divides the government forces and the separatists from the Russia- backed and the self-proclaimed Republic of Donetsk. Here, the Soviet-style cars alternate with Ukrainian military trucks that are directed to the main basis that controls the area. It is a sunny day: people go to the market, and children are at school. You might forget that military deployments are only 7 km away, but also war has his own routine and in New York, you'd better be sheltered from 3pm-to 11.pm. This is the time of the day for the exchange of mortar shots. 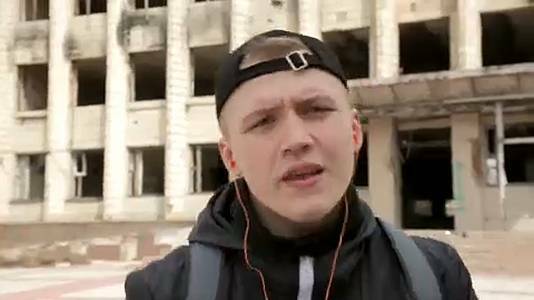 Despite the war, locals like Oksana Lenko don’t want to give up. Thanks to a grant from the United Nations Development Program, she opened the bakery "New York" that serves delicious pastries and pizza. It might seem a common business, but for the village, this place is a spot of normality. “I would have any way opened this place later - she says-but that’s when we received the opportunity: we got the premises and that’s it. We had to open it, war or not war, we had this wish. Moreover, we saw that the war was going on, but also life goes on”. The village lost 6 inhabitants under the shelling. For young people, fear and hope are common feelings. Kyrylo expresses them through rap. He is only 17 but appears older than his years. He tells me that music it’s not just a passion, it is a necessity to cope with reality. “Songs are like breathing fresh air, after which I feel much better. When I feel overwhelmed by the routine, studying, or frequent shelling, I literally have no one to talk to. So, I simply write my thoughts into the notes of my phone or on a page of my notebook. And when I read them, I feel much better”. Life on the contact line is hard. The cities where people used to work are now on the other side. Cease-fire violations are frequent from both sides, and previously fertile fields are now littered with mines. As the conflict in Eastern Ukraine enters in its fifth year, the ongoing violence cast a shadow over Ukraine's development and the livelihood of millions of Ukrainians. In this region, insecurity has destroyed the industry, led to job losses, and damaged infrastructures. 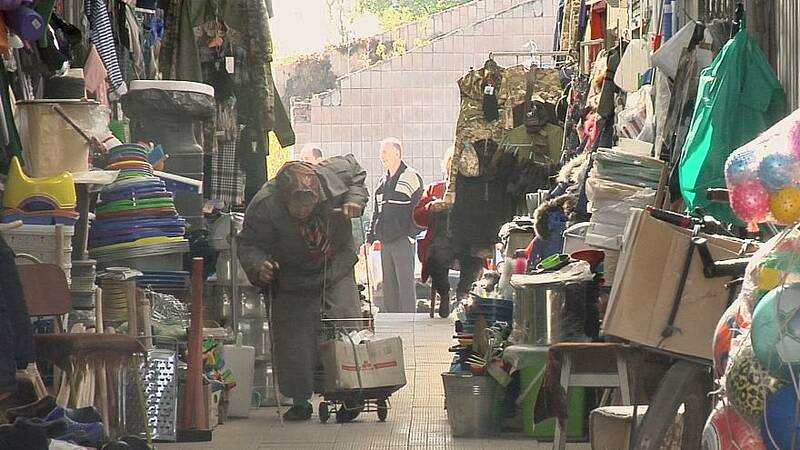 It also put additional pressures on Ukraine’s already overstretched social protection systems. 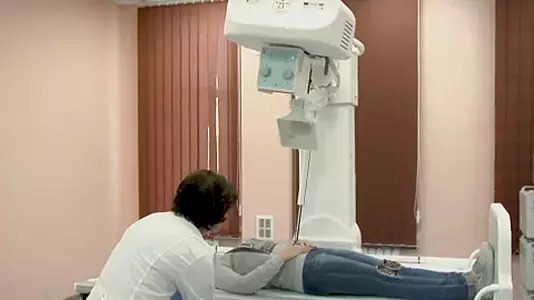 But few a kilometers away, in the town of Myrnohrad, the central hospital has inaugurated a new X-ray machine, with help from international creditors. Now the surgical unit can serve 11,000 patients a year. The European Investment bank is financing the Ukraine Early Recovery Programme in eastern Ukraine. With projects like this, the EU is seeking to keep close ties with Ukraine, as Jean Erik de Zagon, country manager at EIB explains. “If we make the life of normal people better, that will also straighten the democracy in this country. So if you have better schooling, better education, better health care, you have people who grow and that is also supporting democracy”. 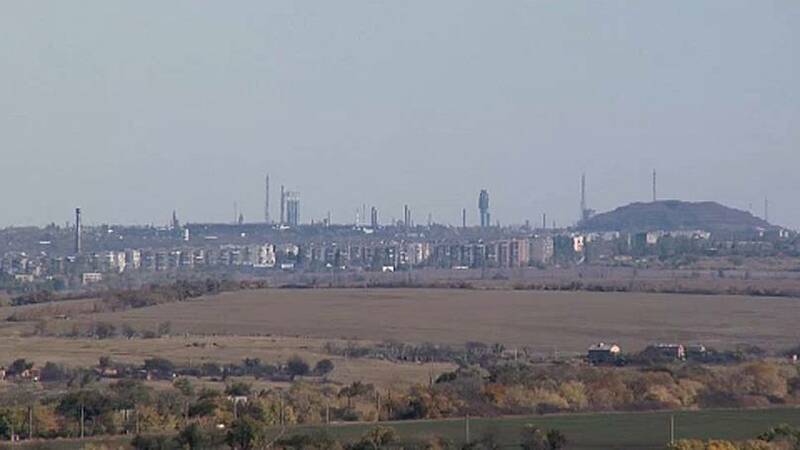 The city of Donetsk was famous for its highly qualified doctors and the best facilities are still in that city, which is now under the control of the separatists. This is then the only hospital to provide specialized medical care (surgery, trauma, and urology) for the entire western region of Donetsk. The Ukrainian healthcare system had inefficiencies before, but the situation has deteriorated with the conflict. On top of that, hospitals are also overcharged with high demands from internally displaced people. Only in Myrnohrad, there are more than 17,000. 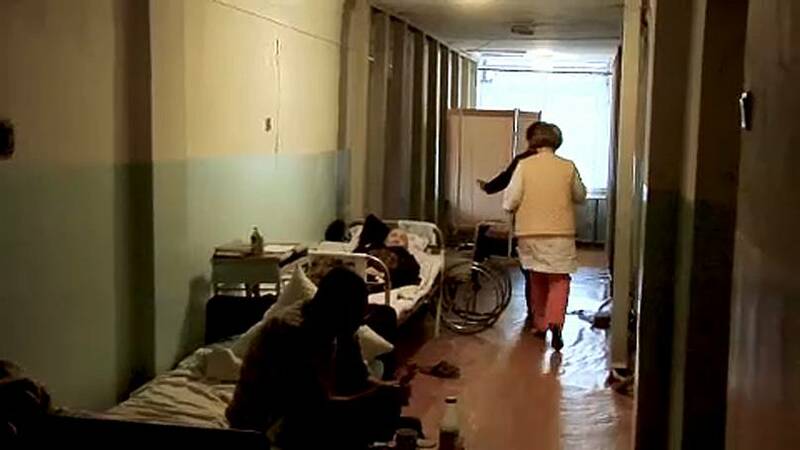 “As the conflict broke out in eastern Ukraine, a large number of Internally Displaced People and militaries came to us, especially in 2014", says Roksana Khohlova, the Principal doctor at Myrnohrad city hospital. "It is clear that we have more patients, but at the same time we have more possibilities to help people”. At least 1.5 million people are displaced as a consequence of armed actions in eastern Ukraine and the annexation of the Crimea by Russia. Rebuilding social cohesion is crucial. “I mean the cohesion between the members of the community but also between the population and the State", explains Victor Muntenau, manager at UNDP's recovery and peacebuilding programme. "It is important to bring them closer together, feeling that they are part of one big endeavor to rebuild what has been destroyed here in the East”. The East is important in determining the future of the country, especially after the Maidan revolution in 2014. Since then, the central government has been trying to get closer to the EU and has introduced important reforms that have yet to bear their fruit. But the capital, Kyiv, is far away and the pro-Russia opposition says that the government has a dismissive attitude towards that region. The EU is keeping a close eye on the upcoming presidential elections, that could change the direction of the country once again. Katharine Quinn-Judge, Analyst at International crisis group affirms that "There is a chance that if revenge forces win, the EU integration could be stalled. I think that the best chances that these forces do not have too much political currency is if this government shows that you can be pro-EU and also take an inclusive approach to EU integration that benefits all the citizens of the country”. Nobody wants another Maidan in Ukraine and the fear is that rise of populist and pro-Russia forces would bring more political uncertainty.